63" x 63"quilt top. 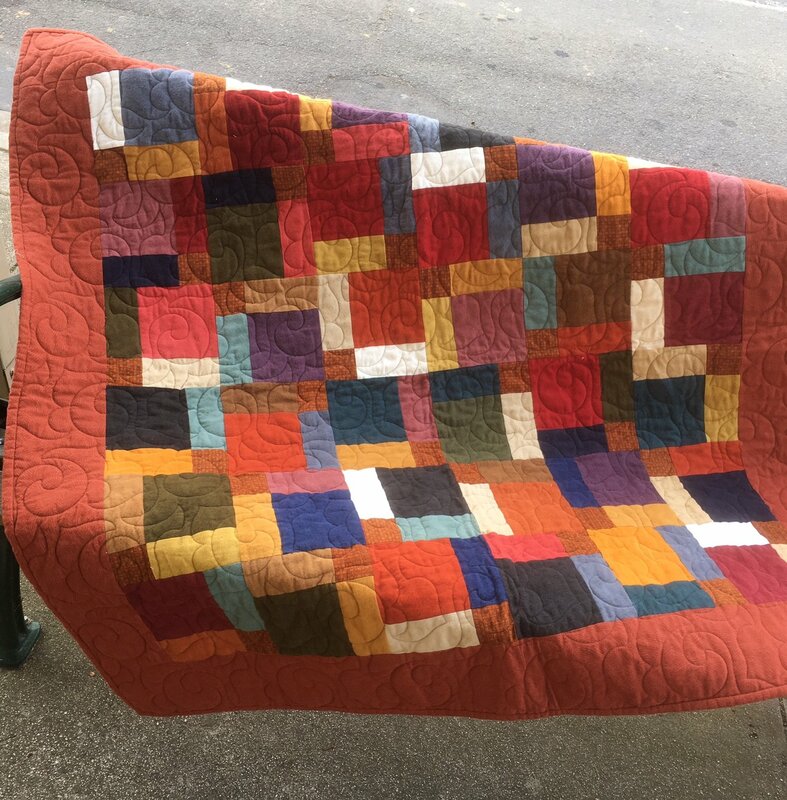 Some colours may vary from the pictured quilt. 63" x 63" quilt top. This kit includes all flannel fabrics and pattern for quilt top. Note: some colours may vary from those in the picture.